Drop in trampolining at Moulsecoomb for 5-16 year olds. 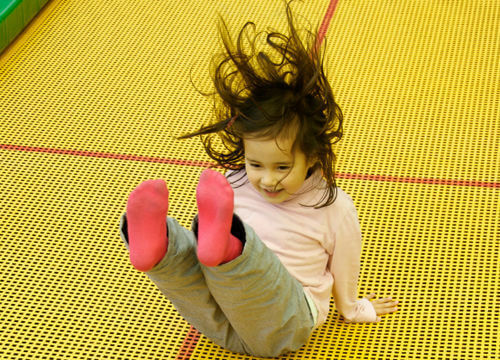 Tuesday is trampolining day at Moulsecoomb Leisure Centre! With two sessions available for ages 5-16 we guarantee fun for everyone. Each session is just £4.50 and can be booked in advance. Our qualified coach Nicky will guide you through your session, bounce by bounce. So whats stopping you? Call us today to book your childs space.